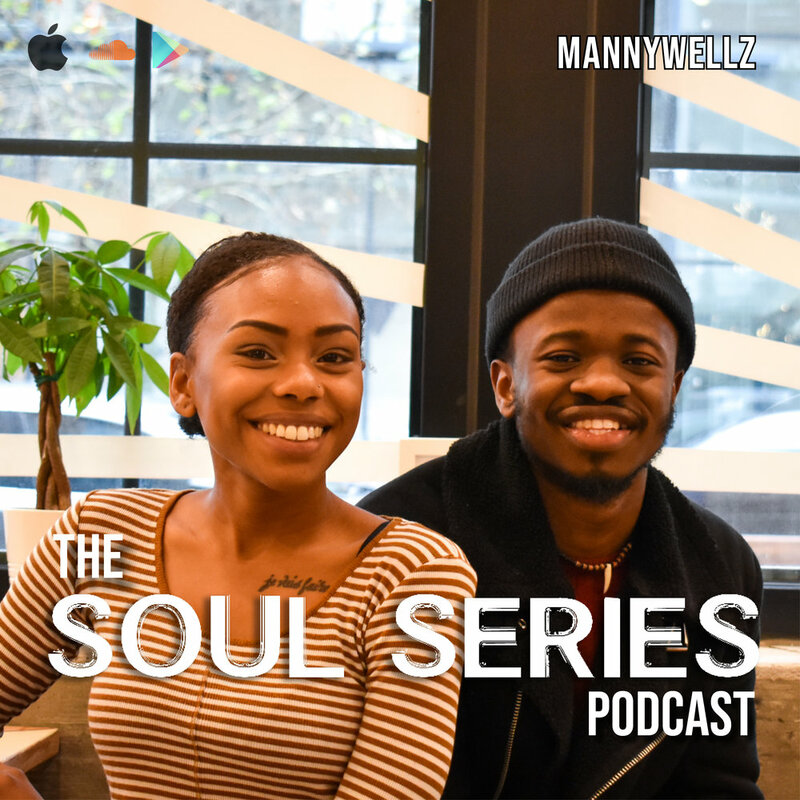 We are very excited to be partnering up with Soul Series on our blog with a bi-weekly series that is aimed to increase awareness of DMV’s prospering and creative community through engaging interviews and podcasts. Soul Series is not only an entertainment platform but serves as a resource for DMC/DC artists and the surrounding community to connect and learn. At Steadfast Supply, our mission is to share and support the stories of creatives, makers, and entrepreneurs from across the globe through our retail and events space. We are very proud to support Soul Series' mission through our online platform. When it comes to voices in the DMV, Mannywellz’s is definitely one to be heard. Mannywellz is a talented singer, songwriter and producer originally from Nigeria. Often, native sounds of his African roots is found in his music infused with his raw vocal sound. Mannywellz’s music speaks of narratives and lessons surrounding encounters and conversations with family, love, God, the Devil and what it means to be a black immigrant in America. His music has a spiritual twist with the ability to inspire you to have faith and trust the process. Mannywellz: SoulFro is music from the soul but with afro elements. SoulFro is not really a genre, instead it’s a style of music that allows me to touch any genre that I want. Breasoul: What are your favorite afro elements to throw in while creating a song? Mannywellz: While creating, my favorite element to use is the talking drum. I love how creative you can get with it. Also, the Omele, which is a smaller talking drum with higher pitch/notes. Breasoul: What is the connection between you, Mannywellz, and House Studio DC? Mannywellz: Mannywellz and House Studios are business partners. We both came together with a similar goal in mind and ever since, we have formed trying to figure out how to get to there — creatively and, financially, mentally, etc. Breasoul: How did you originally link up with them? Mannywellz: I linked up with House Studios around mid 2014 for a program they used to run called, “the Artist Grant.” After that program, I built a close relationship with the team and we became family ever since which then led to our partnership. Breasoul: From SoulFro, what was your favorite song to produce versus your favorite song to perform? Mannywellz: My favorite song to produce would probably be ‘No I dont,’ because of all the percussive elements and the slight Jazz Fusion included. My favorite song to perform is ‘Wrong Place’ because of how my band and I are able to elevate the sound and feel of the song live. I also bring out my talking drum closer to the end of the song and jam with my drummer. Breasoul: One day you chose to commit to music, why? What was the top deciding factor? Mannywellz: I chose to commit to music full time because I wanted to be happy. I didn’t want to grow old and regret anything in life. The top deciding factor was getting confirmation from God to fully pursue music. I was praying and seeking God early 2015 and he told me to GO! A few days later, I got a phone call from someone that God was telling them to tell me to go too. Ever since, I have never looked back.